How to do Thanksgiving with Trump-voting relatives. 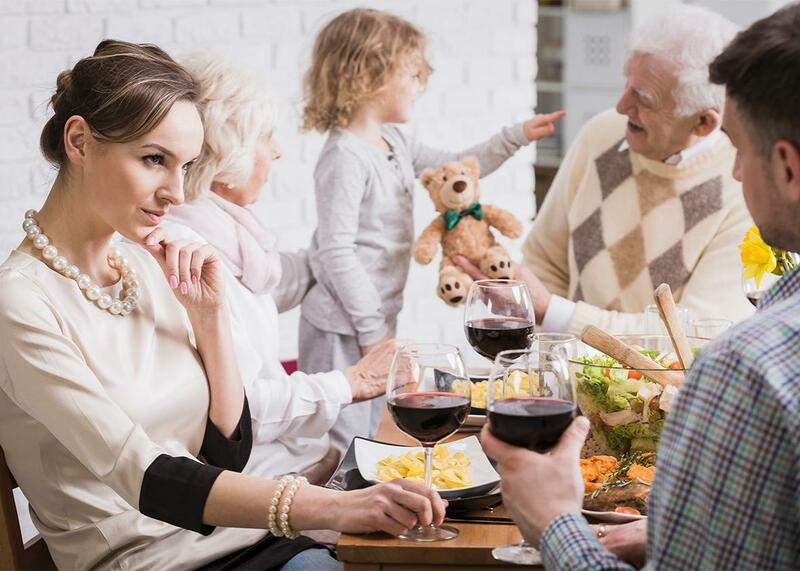 How to share a table with relatives whose views you abhor. The hardest part of talking across difference is achieving empathy. If there is one thing this profoundly divided country of ours can be said to hold in common in the aftermath of Donald Trump’s election, it is fear. I am certainly afraid. As I watched the returns flow in on Tuesday night, a haze of anxiety condensed into a hard shell of dread. My marriage to my husband was only recently rendered legal by the state; a Trump-flavored judiciary could very well change that. I am also fearful for millions of other Americans—blacks, Latinos, Muslims, women—who face similar or worse or overlapping threats under the new regime. Already, women and minorities are reporting increased incidents of public harassment. Many people are gathering in commiseration; I am finding it difficult to imagine leaving our apartment. One of the only useful elements of watching cable news, particularly the man-on-the-street interviews, is being reminded that the other side is scared, too, about different things. Some Trump voters are avowed racists and misogynists and abhor a mainstream culture that rebukes them; most harbor more implicit bias, because they are queasy about certain shifts in old norms and social hierarchies. Many voted, wholly or in part, around issues of economic anxiety. They feel that a promise has been broken, that the traditional paths to a middle- or even working-class livelihood have been closed to them, and they fear for their futures. We are all afraid—of trends beyond our control, of neighbors and loved ones who suddenly seem grotesquely alien. Yet we are still bound by ties of blood, friendship, and commitment. Soon, many of us will dine together at the Thanksgiving table. What do we do now? How do people in the grip of fear break bread? Setting aside the impractical (if seductive) option of cutting ties with everyone who thinks differently than we do, how can we begin to communicate across such vast difference? According to Fiachra “Figs” O’Sullivan, a leading San Francisco–based couples’ counselor and founder of the Empathi.com community, the only way to start is by understanding how humans react to fear. “At the most basic level, there’s only two things the human organism can do,” he said. “It can expand or contract. And nobody is available for new information when they’re contracted.” In other words, fear closes us off in the interest of self-preservation. This is the hardest part of talking across difference: achieving empathy. It is a feat to be able to see the other person as a logical product of her circumstances, even if she is reacting to those circumstances in ways that seem irrational. If you cannot do this—whether because the person’s positions are just too offensive or because you don’t have the emotional energy—the relationship might be better off suspended or severed. O’Sullivan offered another strategy from the world of improv theater: Employ the philosophy of “Yes, and …” In this schema, as O’Sullivan explained it, “whatever someone tells you is true for them, even if you totally disagree with it.” That’s the yes. The and comes in when you attempt to validate that personal truth and add to it. For example: I can totally see why you think immigration has ruined job opportunities around here. I’m sure that’s hard. A bond of understanding has been established, a fear acknowledged. Then, depending on the level of comfort, it might be possible to introduce new or complicating information to the person’s worldview. Neither O’Sullivan nor Bennett felt that this kind of engagement was easy or even necessarily desirable. Both warned that any progress was bound to be rife with discomfort and hurt feelings. Ultimately, we each have to decide how important maintaining and improving strained relationships might be and when blowing the escape hatch might be a better option. I know there are some loved ones in my life—people who I avoided talking to about their choices for fear of testing already-stressed bonds—who I have to try to understand better. That may not end in my convincing them of anything; but then, I have to believe there’s something valuable in the effort. At the very least, they won’t feel so scary to me anymore.